West Webster is proud to welcome our four newest firefighters. 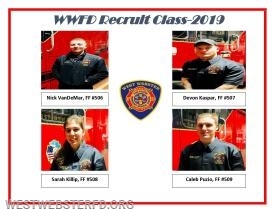 FF Vandemar, FF Kaspar, FF Killip, and FF Puzio have recently joined the department and have already begun their training with the recruit office. 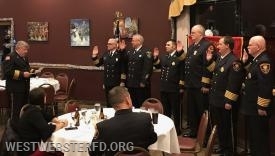 On Wednesday January 9th, the Monroe County Fire Chiefs Association held their annual Installation ceremony for the 2019 Chiefs Association Officers. 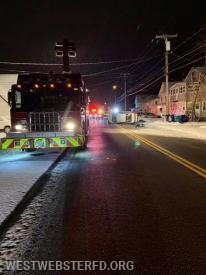 This include two of our own, Past Chief Semmler and Past Chief Grandusky. becomes a challenge when the address number is not clearly displayed on your home and mailbox. 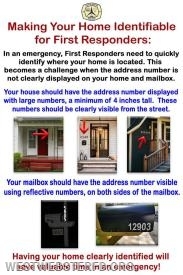 Your house should have the address number displayed with large numbers,a minimum of 4 inches tall.